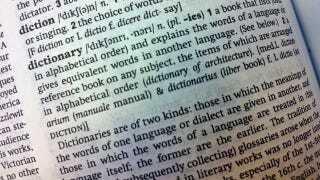 The next edition of the Oxford English Dictionary will include the words "OMG," "LOL" and "FYI," as well as ♥, as in "I ♥ NYC." That last one's not even a word, right? In the future, let's keep the OED boring and respectable. If we need to make sense of our teenage cousin's texts, we'll consult Urban Dictionary.